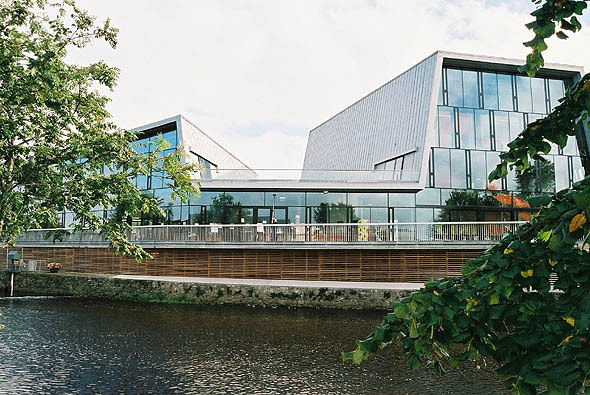 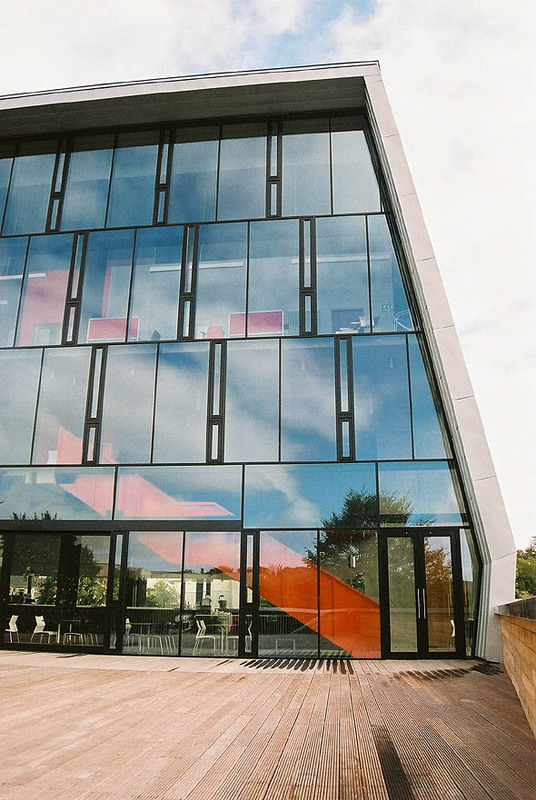 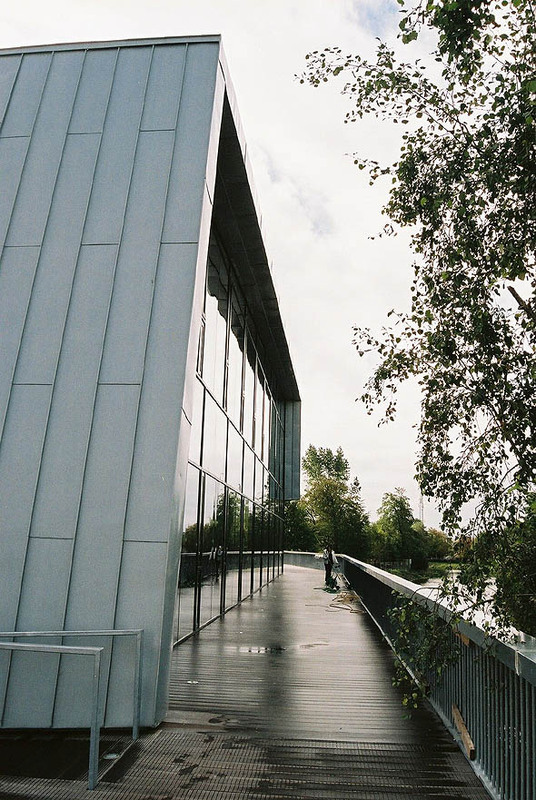 Sited on the banks of the River Suir and entered from a boardwalk along the river, the €10 million Thurles Regional Arts Centre and Branch Library at Cathedral Street in Thurles opened in late summer 2006. 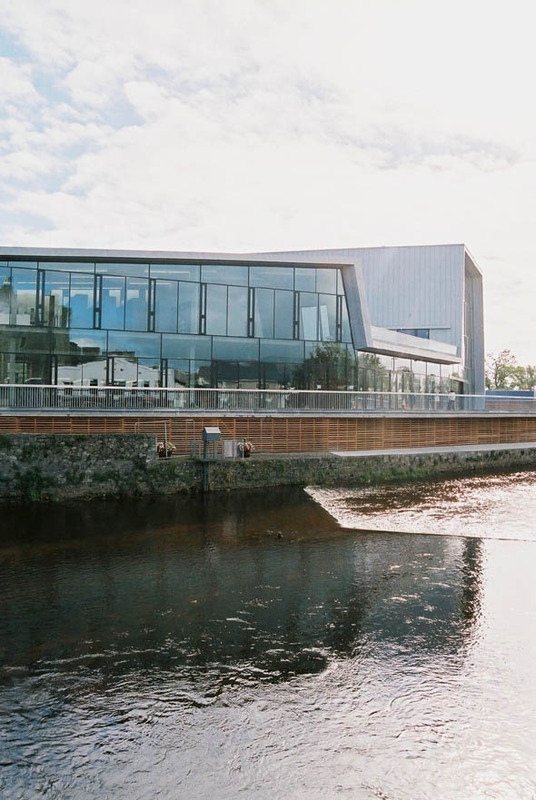 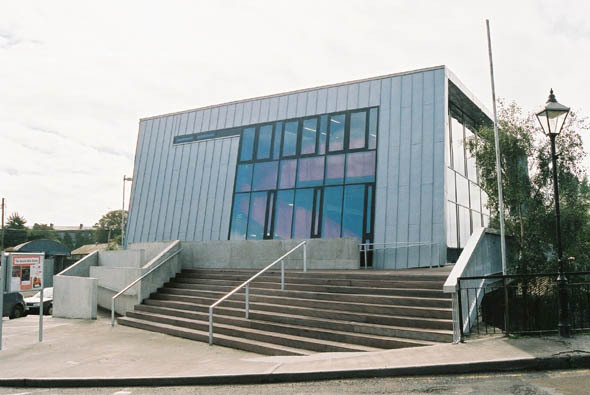 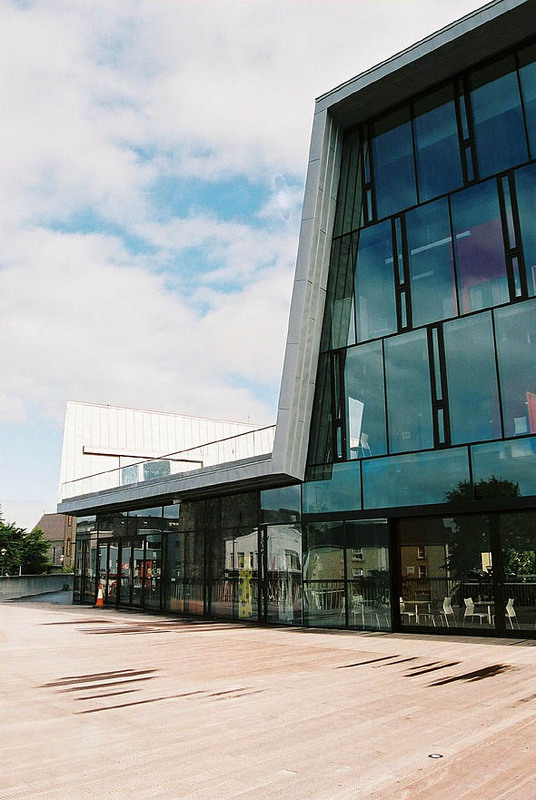 Designed by McCullough Mulvin Architects, the Source Arts Centre & Library includes a new state of the art library, a 250 seat fully equipped theatre with retractable seating, 35mm film projection equipment and high quality backstage and front of house facilities including a fly-tower and orchestra pit. 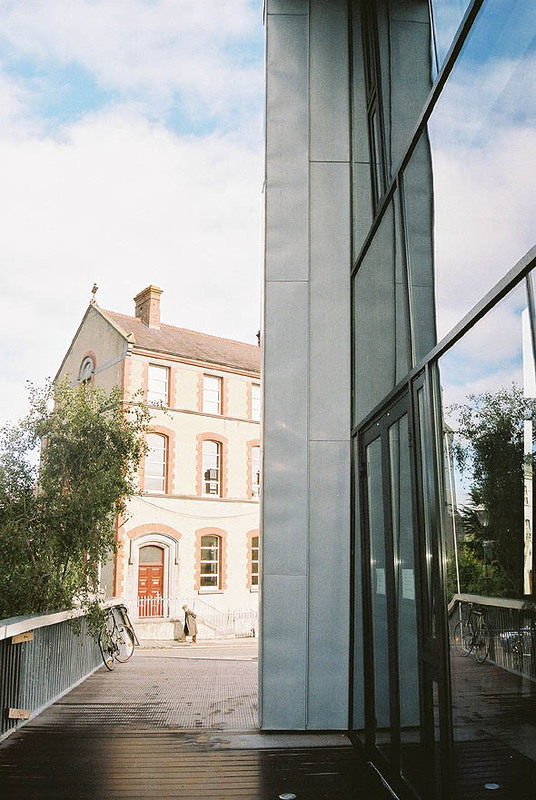 The building also includes a gallery/exhibition space suitable for the growing range of contemporary arts practice which is intended to provide a central focus to the building. 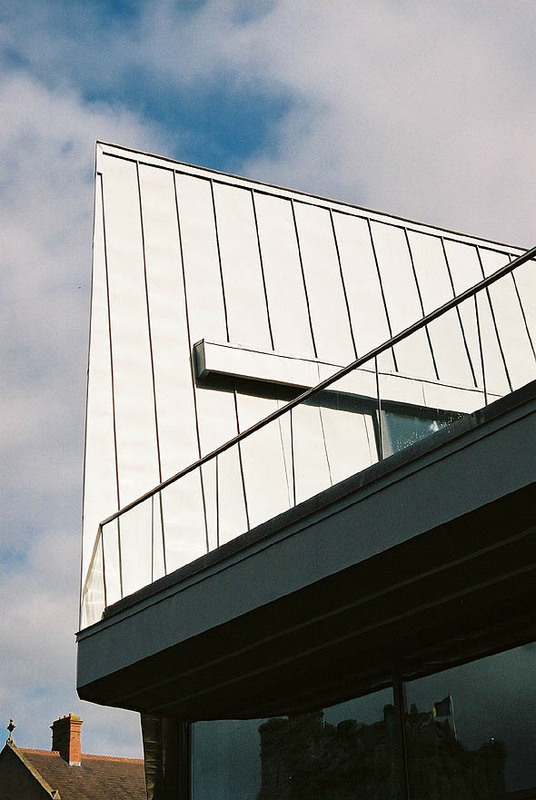 Each major function of the building is clearly expressed beneath an undulating zinc roof. 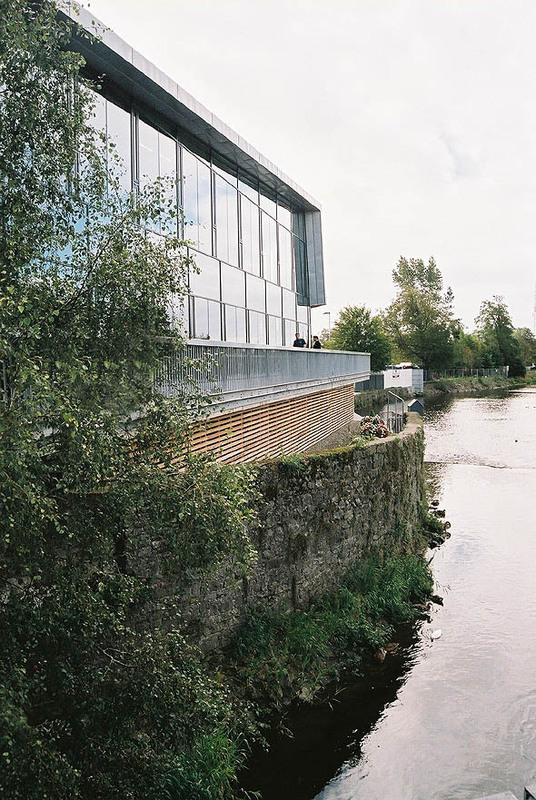 With its cranked form, large areas of glazed facade and the riverside boardwalk, it brings a contemporary urban design to the medieval fabric of Thurles.